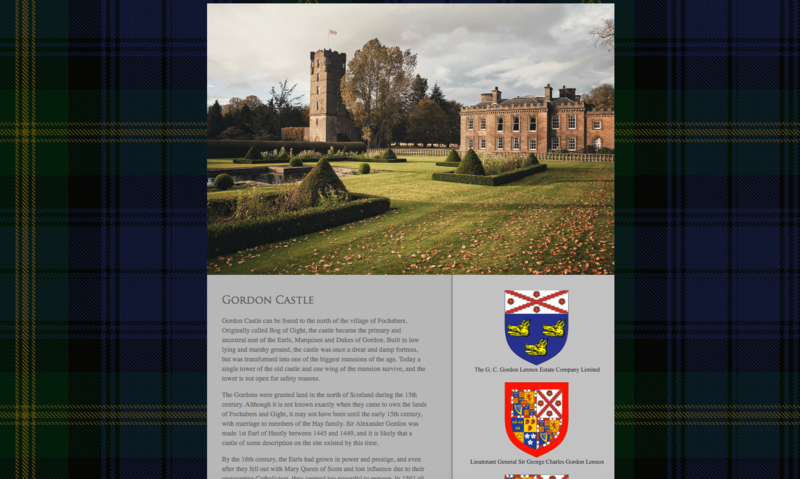 A comprehensive database of Gordon houses and castles, including images, video, music and news articles about them. Once you’ve chosen a castle from our map, we’ll show you the coat of arms of the branch who lived there, and bring it’s history to life with pictures, fascinating old newspaper articles and music and video – in one or two cases we’ve even got 3d-models that you can explore! An armorial containing the heraldic arms of over 100 Gordon individuals. We’ve scoured pages and pages of records, and contacted ancient genealogical institutions like the Court of the Lord Lyon in Edinburgh and the College of Arms in London to find the beautiful and colorful armorial ensigns of numerous members of the family. You can learn about the basics of heraldry, and next time you visit an old Gordon castle, maybe you’ll recognise which branch it’s from! 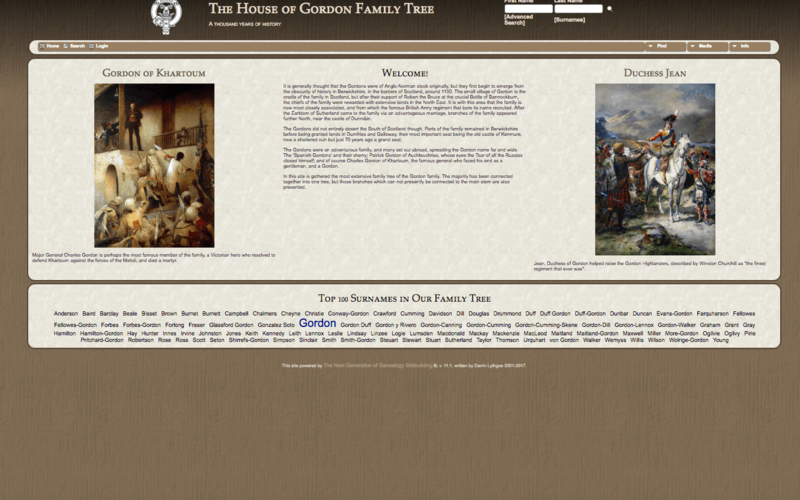 Access to the largest Gordon family tree in existence, and its future updates. 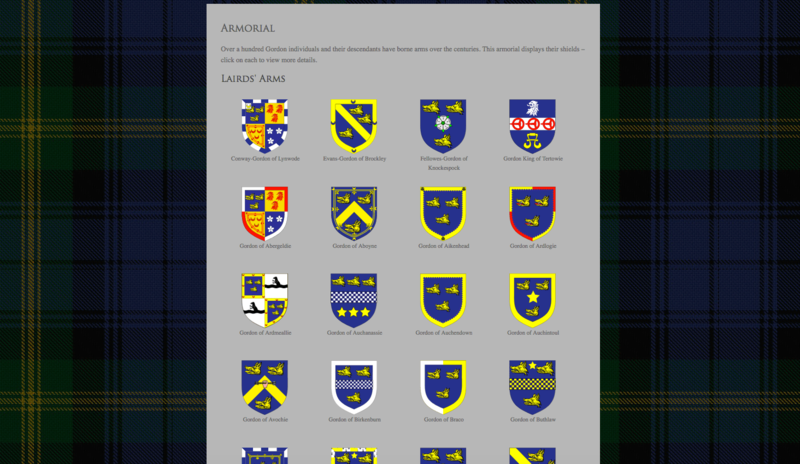 The result of over a decade of work, we now have a genealogical database of over 11,000 Gordons, many of whom we have been able to connect together. Follow the journey of our clan from their beginnings in the Scottish borders, their apogee of power in Aberdeenshire, and their adventurous striking out to the four corners of the world. The days of feud and castle-burnings may be (mostly!) behind us these days, but there’s still plenty of news to be kept up to date on regarding the ‘Clan Gordon’! In our fascinating annual newsletter you can read the latest news about the family and its castles, as well as in-depth articles delving into our storied history. 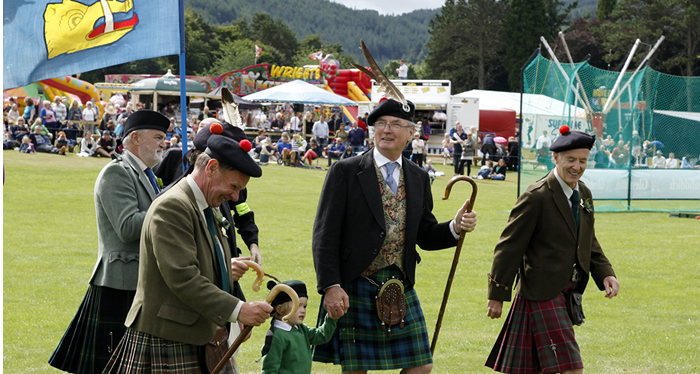 The opportunity to meet other members of the family at our annual midsummer gathering at Aboyne Highland Games. The games are presided over by our Chief, the Marquis of Huntly near the family seat at Aboyne Castle. The banners of his Gordon kinsmen from Haddo and Abergeldie fly proudly in the wind, as the spectacle of the 150 year old games unfolds below. You’ll have the chance to meet the chief, enjoy a dram or two, and meet your fellow clansmen and women. Membership costs £15 per year. To join, please click below! You can stop your subscription at any time.